Heartland Equity Partners is a Midwest investment fund focused on value creation through a process of investment, growth, and long term retention. An increasing number of successful business owners are seeking transitions and growth capital that build on their family’s heritage and values. Enter Heartland, a partner focused on growth and good stewardship. We honor the legacy of sellers by preserving their companies and creating value-added jobs in our Midwestern communities. Heartland aspires to be an outstanding steward of jobs, companies, communities, and the capital of our investors as we acquire and grow businesses. You, your family, and your team have built something. Over years. Over decades. As you consider a transition, you have many options and choices ahead of you. You have choices on how to structure your transition. Sell 100% of the company? Sell a portion and participate in future growth? Which approach is right for you and your family? Heartland offers flexibility in the structure of a transaction. While we invest in majority interests, we are open to an ongoing equity stake for owners, their families, and senior leaders. What is a fair price for your business? Heartland is seeking fair transactions which work for everyone. Tell us a transaction structure and price which works for you and let's try to work it out. What role do you wish to play in the business following a transaction, if any? How are you going to spend your time after a transition of ownership? Heartland is open to options regarding ongoing involvement from sellers. Some will want to continue as CEO and lead ongoing growth. Some will want an advisory role and/or a board position. Some will simply want to exit. We are open to a discussion. How will your employees be affected by a transaction? What about the leadership team? What about family members working in the business? Heartland is committed to continuing and building company cultures where team members are respected, trusted, empowered, and treated like family. Employees, senior leaders and family members can count on Heartland to listen, give the benefit of the doubt, and support their ongoing success. What will be your legacy after you sell? How will you be viewed by the employees, the community, and customers and suppliers? Heartland wants to be a good steward of your legacy and standing in the community. Let's discuss what success looks like to you. Honor the legacy of sellers. Heartland works to honor your family’s history and legacy as we invest to grow your company. Heartland is seeking opportunities to participate in the long-term growth of upper Midwestern companies. Ideal partners are solid companies which are performing, yet are in need of capital and or talent to support a seller retirement or a growth phase. Heartland will consider a range of industries and situations in the Upper Midwest. The Fund and its portfolio companies operate with uncompromising ethical standards and an emphasis on honesty, integrity, and transparency. Heartland has proudly invested in the following platform companies. Cass Precision Machining has been providing precision machined parts to customers since 1945. Heartland invested to provide liquidity for two owners seeking to retire and to provide capital for continued growth. In addition, Heartland supported the acquisition of Reliance Screw Products by Cass in 2017. Ajax Metal Forming Solutions is a 3rd generation ISO 9001:2015 metal forming solutions provider for heavy equipment, durable goods, architectural/construction, and HVACR original equipment manufacturers. Ajax produces parts that conform to tight tolerance specifications using galvanized and stainless steel, aluminum, copper, brass and other alloys. Ajax employs about 70 colleagues at the company’s Minneapolis location. Heartland's investment supported the retirement of the 3rd generation owners. Visual Impact is a Twin Cities based pioneer in the grand format digital printing industry. Heartland invested to provide liquidity to minority investors seeking an exit and to provide capital for growth. In addition, Heartland supported the acquisition by Visual Impact of Colorwise in 2015 and Banner Creations in 2016. 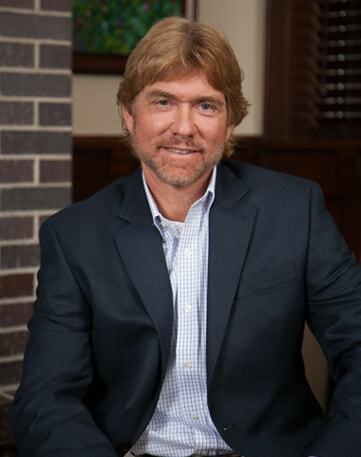 Tom is the Managing Director of Heartland Equity Partners and responsible for day to day operations. Mark is the founder and Chairman of Orgel Wealth Management, an investment advisory firm in Eau Claire, Wisconsin. Timothy is the former Chairman and CEO of Extrusion Dies Industries in Chippewa Falls, Wisconsin. Chris is the former Vice Chairman and Executive Vice President of Extrusion Dies Industries in Chippewa Falls, Wisconsin. Jonathan is the co-founder and former Co-President of Allied 100 in Woodruff, Wisconsin. Ronald is the former Executive Vice President and Chief Financial Officer of Extrusion Dies Industries in Chippewa Falls, Wisconsin. 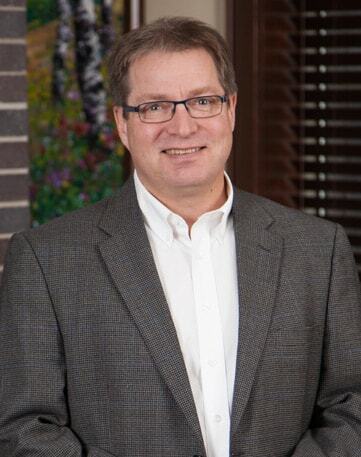 John is the founder and CEO of JEH Government Services in Chippewa Falls, Wisconsin. Jerry is the Chairman and CEO of Bauer Built in Durand, Wisconsin. 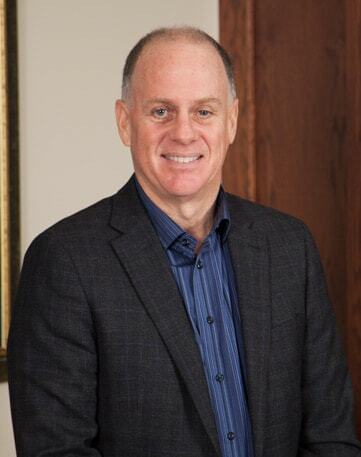 Tom is the Managing Director for Heartland Equity Partners, responsible for overseeing the company’s operations. Tom’s 35-year professional career includes leadership roles and entrepreneurial ventures in consulting and management, ranging from strategic, operational, financial, IT, and M&A projects. His extensive experience includes various consulting and management roles at Coopers and Lybrand, Kimberly-Clark Corporation, and Platinum Group. At Coopers and Lybrand he offered consulting services to Fortune 100 clients as well as family-owned businesses. Following that role, he spent 10 years with Kimberly-Clark serving in the company’s U.S. and Australian offices in operations and IT leadership positions. 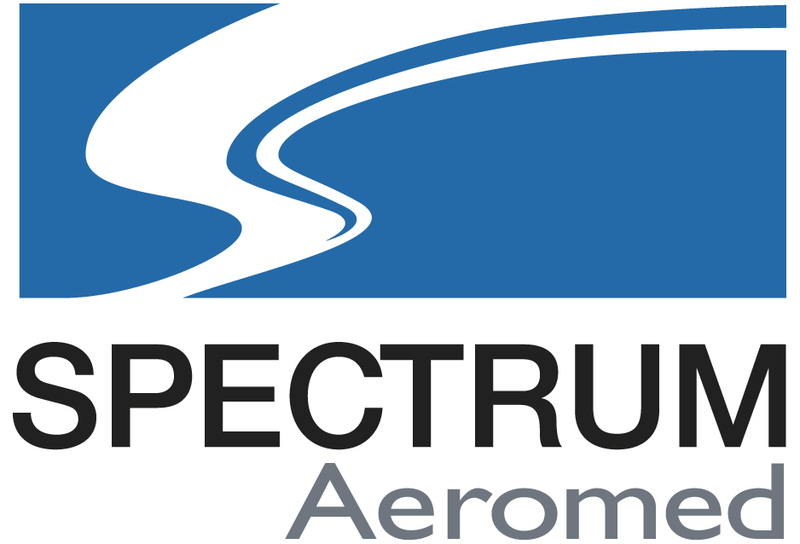 He was also part of the team responsible for the integration of Kimberly-Clark and Scott Paper Company. Immediately prior to joining Heartland, Tom was a partner with Platinum Group, a premier middle-market advisory firm in the Twin Cities. He also served as Platinum’s Managing Partner for four years. Growing up in his family’s logging and lumber business on Michigan’s Upper Peninsula imparted to Tom the critical role privately held businesses play in providing jobs and supporting communities. These origins helped shape Tom’s work ethic, which he carried to Northern Michigan University, where he earned his Bachelor’s Degree in Finance. Tom and his wife Pat have been married 37 years. They met in a college singing group and continue to sing together in their church’s music ministry. They have two adult children and anxiously await grandchildren. An avid outdoorsman and golfer, Tom also pilots his personal aircraft for both business and pleasure. Tom and Pat reside "on the lake" in northeastern Wisconsin. 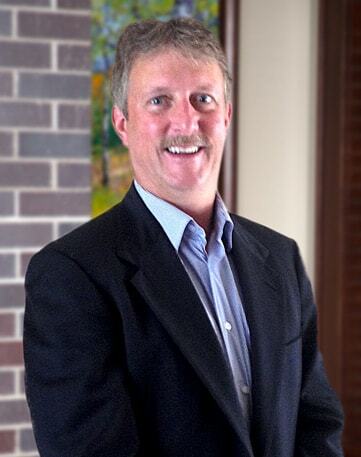 Tim is a Principal and Board Member at Heartland Equity Partners. Prior to joining Heartland, he served as Chairman and CEO of Extrusion Dies Industries (EDI), a global service provider to plastics manufacturing companies. Tim and his partners purchased EDI in the wake of a private equity fueled bankruptcy, and ultimately restored it to become a global leader in its industry, driving annual sales from $23 million to $50 million while retiring most of the company’s significant debt load. Prior to heading EDI, Tim held roles of increasing responsibility at both EDI and Johnson Controls, focusing on engineering and manufacturing. Tim has an Associate’s Degree in Tool Engineering from ITT Technical Institute and a Bachelor of Science Degree in Industrial Technology from Eastern Michigan University. Tim and his wife Betty have been married for 34 years. They currently reside in Florida, though spend as much time as possible with the kids and grandbabies in Missouri and Colorado. In addition to spending time with his family, Tim’s passions include golfing, cycling, farming, hunting, and fishing. Tim is a licensed pilot and enjoys flying his Eclipse aircraft as often as his schedule allows. Chris is a Principal and Board Member at Heartland Equity Partners. 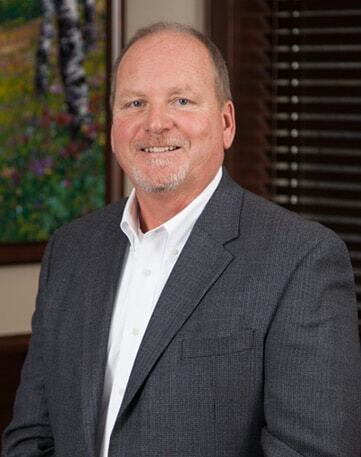 Prior to joining Heartland, Chris served as Vice Chairman and was a co-owner of Extrusion Dies Industries (EDI), an international supplier of die systems for a full range of plastic-related applications. Chris joined EDI in 1996 and during his 14 year tenure there served in various leadership roles, including International Market Development Manager, Director of Marketing, Vice President of Sales and Marketing, and Executive Vice President of Sales and Marketing. Chris and his partners purchased EDI in the wake of a private equity fueled bankruptcy, and ultimately restored it to become a global leader in its industry, driving sales from $23 million to $50 million while retiring most of the company's significant debt load. Prior to joining EDI, Chris worked for Davis-Standard (D-S) as its International Product Manager for the company’s sheet-extrusion system product line. D-S is a global leader in the design, development and manufacturing of extrusion systems, feed screws, barrels, and process controls for the flexible web converting, plastics processing, and rubber industries. He served Davis-Standard for 10 years. Chris earned his Bachelor of Arts degree in Business Administration from the University of Connecticut and has extensive technical training in electrical engineering technology. Chris and his wife, PattiAnn, have been married for over 30 years and have three adult sons. They live in Chippewa Falls, Wisconsin, and winter in Longboat Key, Florida. When he is not working, he enjoys tennis, fishing, boating, waterskiing, and other outdoor sports, as well as woodworking and aviation. He also dedicates a significant amount of his free time volunteering with SCORE (Service Corps of Retired Executives). Jonathan is a Principal and Board Member at Heartland Equity Partners. He is also the Co-Founder of Allied 100, LLC in Woodruff, Wisconsin, and the Vice-President of Annuvia, LLC in San Francisco. Jonathan began his career as the Director of Air Medical Services for an international air ambulance company where he spent 10 years. After leaving Air Medical Services, Jonathan redirected his career toward entrepreneurship, and launched an independent e-commerce business that strived to expand the market and customer base for automated external defibrillators (AEDs), an enterprise that ultimately became Allied 100, LLC, the world’s largest AED company. While helping build Allied 100, Jonathan simultaneously owned and operated a successful air-medical transportation company serving prison systems. Maintaining his grandfather's legacy, Jonathan also continues to operate his vacation resort on Trout Lake in Boulder Junction, Wisconsin. While attending the University of Wisconsin, Jonathan studied for a term at the University of Ealing in London, with a focus on International Business and Marketing. He later returned to Wisconsin where he completed his Bachelor’s degree in Marketing. Jonathan is a former director of EMS for the Boulder Junction Volunteer Fire Department and currently serves as a tenured Emergency Medical Technician of eighteen years. He is a member of the board of a philanthropic hospital foundation, and has his own well-funded philanthropic organization with a focus on supporting various efforts in Boulder Junction, Wisconsin, where he lives with his girlfriend of nearly 25 years. In his spare time, Jonathan enjoys skiing, snowmobiling, fishing, and other outdoor activities. 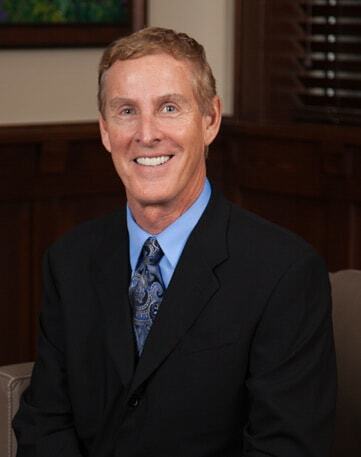 Ron is a Principal and Board Member at Heartland Equity Partners. Ron also serves as Chief Financial Officer of Snap Loc Cargo Control Systems, LLC. Prior to joining Heartland, Ron was Executive Vice President and Chief Financial Officer of Extrusion Dies Industries (EDI) in Chippewa Falls, Wisconsin. Ron and his partners purchased EDI in the wake of a private equity fueled bankruptcy, and ultimately restored it to become a global leader in its industry, driving annual sales from $23 million to $50 million while retiring most of the company's significant debt load. A Certified Public Accountant (CPA), Ron has more than 30 years of experience in financial services, primarily serving manufacturing-related companies. Ron grew up in upstate New York, and received his Bachelor’s Degree in Accounting from the State University of New York (SUNY), Geneseo. He earned his MBA in Finance from the University of Wisconsin, Whitewater, and has lived in the Midwest for the past 30 years. Ron and his wife have been married for 30 years. They enjoy spending time with their adult children and enjoy their home in Florida as well as their summer retreat in Wisconsin. In his spare time, Ron enjoys winter sports, traveling, fishing, softball and tennis. He also dedicates a significant amount of time as a certified counselor, volunteering with SCORE (Service Corps of Retired Executives), and as a Board Member with the American Red Cross. 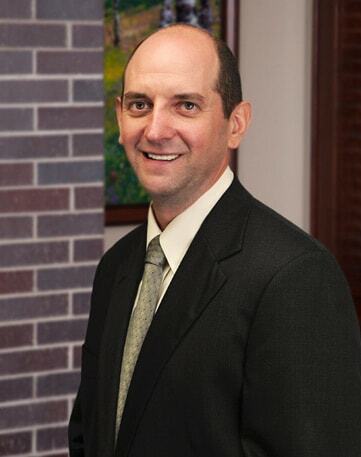 John is a Principal and Board Member at Heartland Equity Partners. In addition, John has owned and operated his own business, JEH Government Services, Inc., since 2001. Through JEH, John specializes in working with small and large companies interested in working with the Department of Defense (DoD) to research, develop, and advance dual use technologies for military defense and commercial applications. He has been involved with selling and marketing to the U.S. government for over 20 years, securing large defense contracts that are strategically aligned with his client’s core competencies and capabilities. John currently resides in Florida after having lived in Chippewa Falls, Wisconsin for over 30 years. He earned his Bachelor’s degree in Business Administration from the University of Wisconsin School of Business, Eau Claire, Wisconsin. John has been married to his wife, Mary, for 12 years and enjoys spending time with his four children and six grandchildren. In addition, he is an avid boater and enjoys golf and yoga in his spare time. 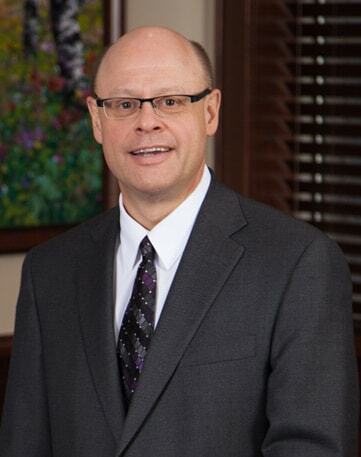 Jerry is a Principal and Board Member at Heartland Equity Partners. Jerry also serves as Chairman and CEO of Bauer Built, Inc., a family-owned business now in its 3rd generation. From 1976 to 2013, Jerry served as President of Bauer Built before turning over day-to day operations to his son. The company has been in the family for over 70 years and has become one of the largest independent tire dealers and retread manufacturers in North America. Bauer Built is also a distributor of new and retreaded tires and related products and services throughout the Midwest and a distributor of petroleum products in west central Wisconsin. In addition to his work at Bauer Built, Jerry has been on the Board of Directors of Security Financial Services Corporation / Security Financial Bank of Durand since 1992 and is currently its Chairman. He has been on the Board of Directors of Marten Transport, LTD since January 1997 and served on the Board of Directors of Mason Companies, Inc., from 1999 through 2008. A lifelong resident of Durand, Wisconsin, Jerry earned his Bachelor’s degree in Business Administration from the University of Wisconsin School of Business, Eau Claire. He has been married to his wife Sue for over 40 years. In his spare time, he enjoys golf, fishing, traveling, and spending time with family and friends.